This shot was taken yesterday while running my Blue Mountains Day Course… great weather but the rain got a bit heavy towards the end of the day. None the less perfect weather for shooting waterfalls. This shot had quite a bit of work done on it in terms of trying to balance the dark tones and shadow detail in the image. Quite tricky to edit when some techniques adding contrast resulting in the greens really popping so you have to go back and kill the colour back a bit. All the tonal work has been done using different types of luminosity masks, blurring them / sharpening them in selective areas that kind of thing. I didnt use the shadow / highlight tool in this shot (which I am a big fan of). Think the image could still do with some more work especially in the colour, but next time I might think about bracketing a shot or two for some more shadow detail in certain areas. 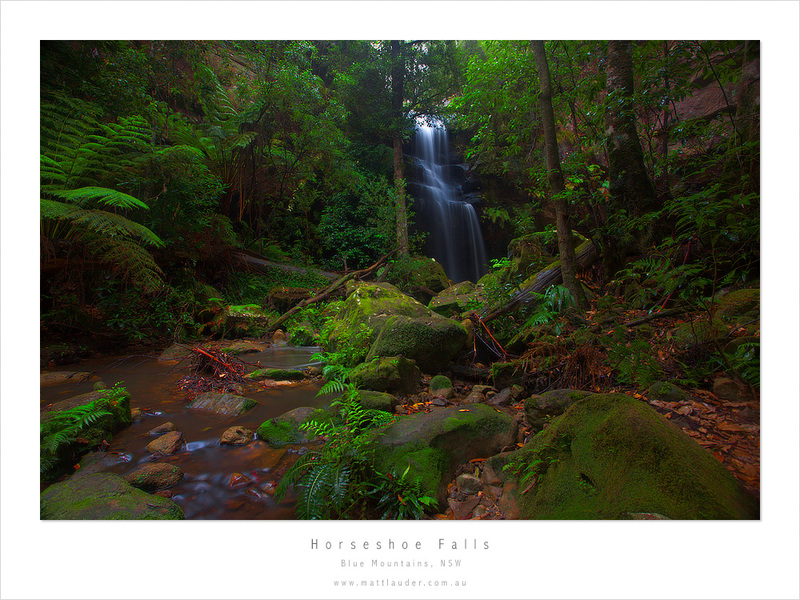 This entry was posted in Archives, Uncategorized and tagged Blue Mountains, Courses, hazelbrook, horseshoe falls, Photography, photography courses. Bookmark the permalink.